PHOTO BY SUMMER REID/GLEANER NEWS: The MNJCC’s new universally accessible pool (full story on page 1) now features an entrance ramp. The community centre at Bloor Street and Spadina Avenue is now fully compliant with the Accessibility for Ontarians with Disabilities Act, which aims to make the province fully accessible for people with disabilities by 2025. 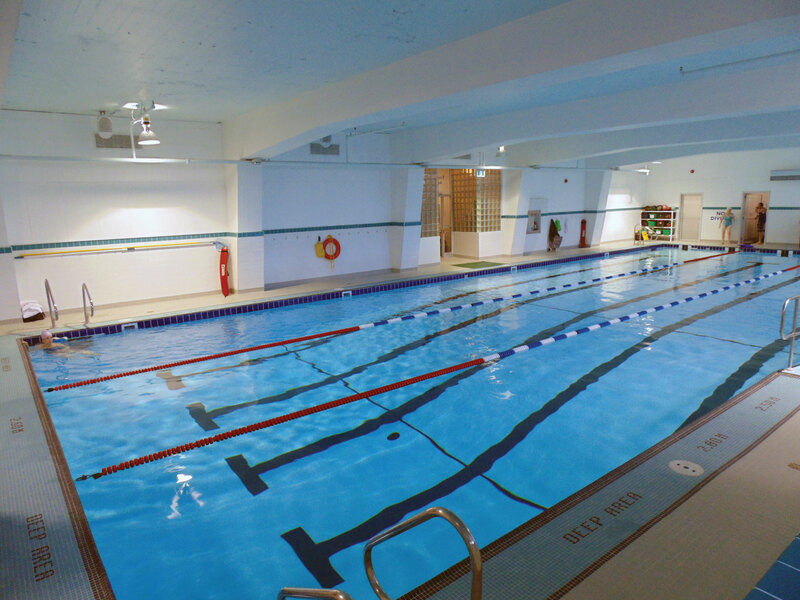 The Miles Nadal Jewish Community Centre (MNJCC) reopened its Freddie Shore Aquatic Centre last month, after an extensive renovation to make the saltwater pool universally accessible. “This means that everybody, with dignity, can get into [and out of] the pool on their own terms,” said executive director Ellen T. Cole at the pool’s official reopening. Adam Purdy, a Paralympic and ParaPan medalist in swimming, explained that making swimming pools universally accessible enables everyone to learn how to swim, a basic skill, no matter their limitation. 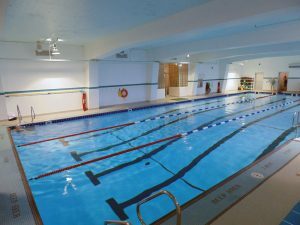 “A universal design is very important because it does represent some of the ideas and mindsets of the people who are running those facilities and places,” added the swimmer. For Liviya Mendelsohn, the MNJCC’s manager of accessibility and inclusion, “pools are about community. Making the pool universally accessible is but the latest step in the MNJCC’s quest to become fully compliant with the Accessibility for Ontarians with Disabilities Act. Made law in 2005, the aim of the act is to make Ontario fully accessible for people with disabilities by 2025. “We have set ourselves a standard to be the role model for accessibility and inclusion in the downtown,” said Cole. Mendelsohn explained that the MNJCC has focused on making its programs accessible, integrated, and financially accessible for anybody facing barriers. “We have two advisory committees…made up of people with disabilities and [their] allies, and they advise us on our programming,” she said.